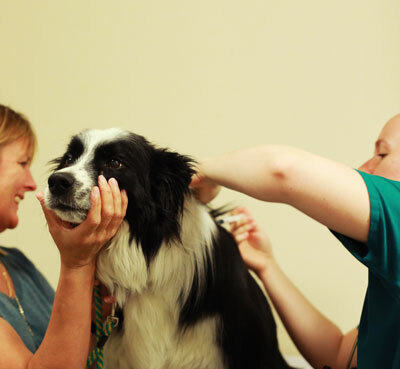 Anton Vets was established by Kate Chitty and her husband John in conjunction with head nurse Laura and head receptionist Maria. 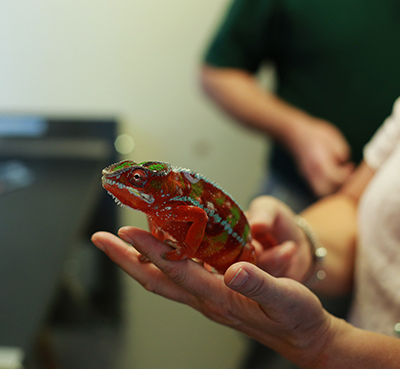 John is well regarded internationally for his expertise with exotics and as well as providing a first opinion and exotic referral service has authored and edited multiple text books and is past president of the BSAVA. 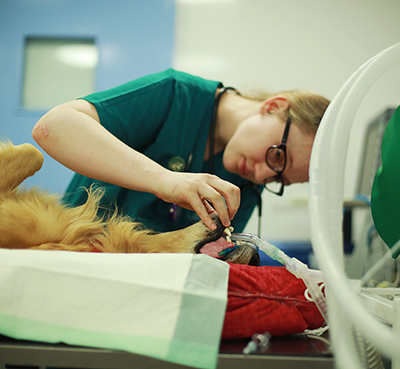 Kate has recently added laproscopic surgery to her repertoire and believes strongly in putting clients at the heart of what we do and providing the same high level of care to clients and their pets that we would like to receive ourselves. Since its inauguration Anton Vets has grown considerably and how has a team of 6 vets and 3 interns (new graduate vets). We have also expanded into a new building to provide a state of the art surgical suite and accommodate a CT scanner. 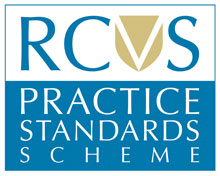 We pride ourselves in keeping up to date with advances in technology and equipment (including the use of sevoflurane!) and allowing vets the scope to develop their own interests further with study upto certificate level actively encouraged and funded. Dermatology, orthopaedics and ultrasound are all areas we are developing at the present time. 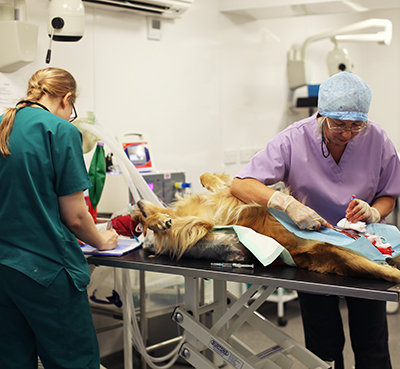 We are proud to provide our own out of hours service for our clients and to have a vet on-site 24 hours to look after our inpatients. The interns are the backbone of this service and during their rotation through the night shifts will stay on site and answer the emergency phones, with full back up from an exotic and small animal vet at all times. 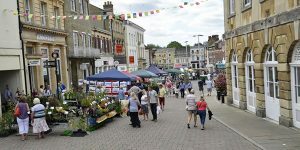 Andover, nestled on the river Anton, is a traditional market town at the apex of the beautiful Test Valley. With its attractive high street and narrow walk ways dating back to Saxon times most of the town’s buildings are from the 18th century when it was an important stop over destination for coaches on their way to London, Southampton and Oxford. Andover has extensive local amenities as well as major supermarkets, a cinema complex, arts and entertainment centre including a soon to open, state of the art swimming pool and leisure complex. There is a wide choice of affordable housing with good schools and family doctor surgeries nearby. The town has a mainline railway with a fast service to London Waterloo. Excellent road access is available with the M3, M4 and A303 all within easy reach. The gently undulating Test Valley is the home to many picturesque villages and is perfect for nature lovers and dog walkers. Deer can often to be found grazing in the un-spoilt countryside and ancient byways of the Clarendon and Test Ways. The New Forest with its vast swathes of un-spoilt heath and woodland, where ponies, cattle and sheep roam free, is less than 30 miles away. It’s a rambler or cyclist’s dream! The local Anton and Test rivers offer some of the finest fly fishing in the UK. Lovers of history can explore the rich history of the area at the Andover Museum and Museum of the Iron Age in the town centre, or the Museum of Army Flying in nearby Middle Wallop. 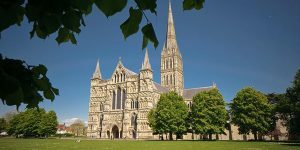 The medieval city of Salisbury, whose cathedral boasts the tallest spire in England, has the world’s oldest working mechanical clock and is the home of the Magna Carta, is only 18 miles away. 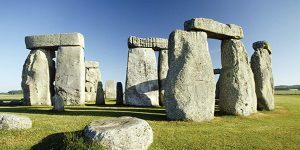 The ancient prehistoric standing stones of Stonehenge are less than a half hour drive away. The historic cathedral city of Winchester and Portsmouth historic dockyard are also within easy reach. For the young and adventurous there are plenty of other local activities on offer including Hawk Conservancy Trust, Paultons Park (with Peppa Pig World), the New Forest Water Park and TreeRunners zip line and treetop adventure park, all a short distance away. Not to forget the many delights of Finley Down Farm Park and Jungle Jungle soft play centre for younger family members. In short Andover can offer a great location to live and work, and we would be delighted to be able to offer you the opportunity to join our team and have the chance to sample the delights of the Test Valley.